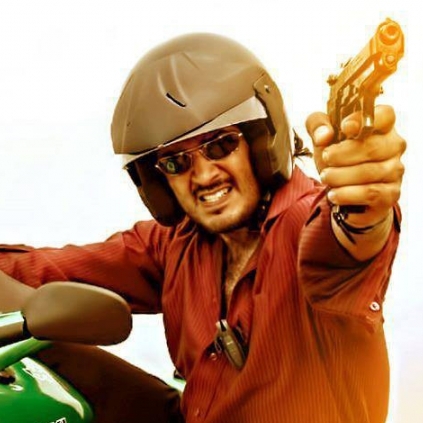 FINALLY, AJITH TO MEET HIS MYSTERIOUS CO-STAR? Apparently, the 2nd schedule of Thala 57 which was taking place at Ramoji Rao Film City, Hyderabad, was wrapped recently. Few risky action scenes were choreographed during this 2nd schedule. The team is on a small break at the moment and they are expected to resume shoot very soon. Now we hear that the makers are planning to shoot the next schedule in Bulgaria. This will supposedly be an extended schedule which could go on for close to two months. It is also reported that this schedule will have almost all the cast members. A team has already left for Bulgaria and another team would be leaving in the nest week, say sources. Kajal Aggarwal who is already in Europe for a song shoot of Chiranjeevi’s Khaidi No 150 is expected to join the sets of Thala 57 once she is done with the Kaththi remake. Vivek Oberoi has been approached to play the lead villain. Allegedly the makers had a final negotiation with Vivek recently but we are not aware if he has signed the dotted lines yet. But the baddie portions are likely to be shot in the upcoming schedule. Looks like Ajith will finally have some combination sequences with the much talked about AK57 villain. An official announcement about the baddie is also expected to be made soon. Thala 57 has Anirudh in charge of music, Vetri for cinematography and Kabilan Vairamuthu involved in the scripting department. A well established heroine for Vedalam's Telugu remake? Wow! Jayam Ravi Jr. to make his acting debut! People looking for online information on Ajith, AK 57, Siva will find this news story useful.